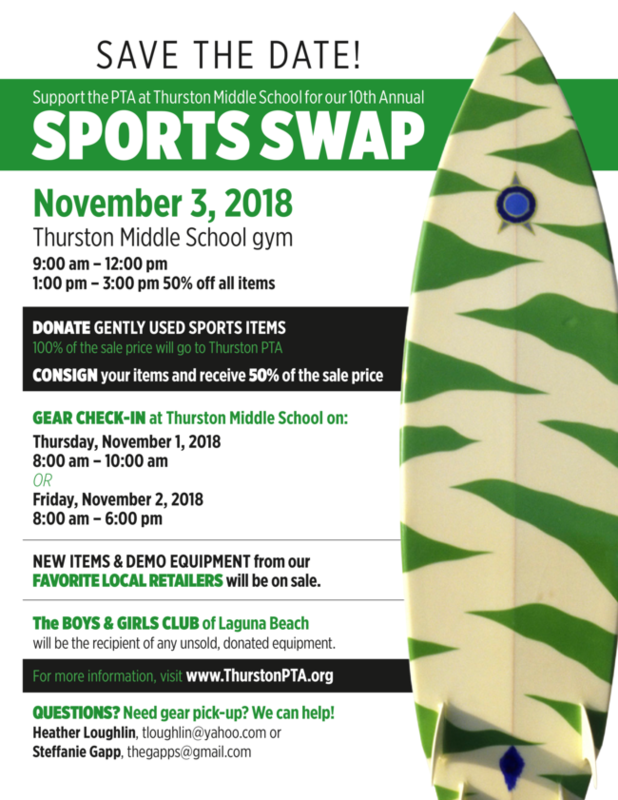 Come support Thurston's PTA in the 10th Annual Sports Swap in the Gym on Saturday, November 3rd from 9 a.m. - 3 p.m. Lots of new and gently used sports gear will be available to purchase. PTA would love donated or consigned used sports items for this event. See you there!